Pinstripe is an emotionally charged adventure about Hell created entirely by a one-man team over the course of five years, and will be released on Nintendo Switch October 25th, 2019. Play as Teddy, an estranged ex-minister forced to venture through the frozen afterlife in search of Bo, his three year old daughter, and her perverse kidnapper. Discover the dark secrets of Teddy's past, and confront his sleazy, demonic nemesis, Mr. Pinstripe. Thomas Brush, creator of award winning games Coma and Skinny, reveals a gorgeous art style, breath-taking score, and chilling story with influences from The Nightmare Before Christmas, Coraline, and Alice in Wonderland. Pinstripe was successfully Kickstarted in 2016 by nearly 4000 backers, and released for PC, Mac, and Linux on Steam on April 27th, 2017. Explore 6 hauntingly beautiful levels of Hell. Use your blunderbuss to fight your way through bizarre beasts and interesting puzzles. "Poignant, clever, and creepy as all hell!" "Pinstripe begs to be finished." "... a melange of beauty and horror, a bricolage of dreamscapes and Tin Pan Alley tunes where the devil is literally in every detail." "... the brooding atmosphere and the lanky priest remind me of everything from the mysterious sins of Nathaniel Hawthorne’s Reverend Mr. Hooper in “The Minister’s Black Veil” to Washington Irving’s superstitious Ichabod Crane." "... with its mysteriously strange setting and platforming puzzle gameplay would being justified in garnering comparisons to the similarly atmospheric Limbo." "... a truly atmospheric game with a flawless and poignant story." "Pinstripe was a Herculean effort by one man, and it provided one of the more interesting worlds and better stories I’ve played in quite some time." "What else can I say about you, Pinstripe? You totally rocked my socks." "With heartfelt storytelling, stunning art design, and atmospheric music, Pinstripe is sure to start hitting those Best Indie Games lists soon." "... feels as full and cohesive as a project with a much bigger staff and budget, with all the weirdness and sharp edges as a piece from the heart." "Pinstripe is a captivating adventure full of charm and heartbreak that instantly pulls you in and refuses to let go." 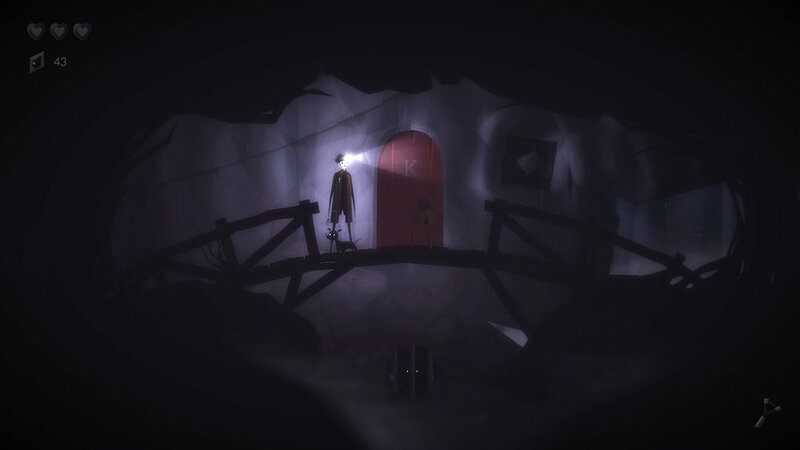 "It's beautiful to look at, and the soundtrack is hauntingly addictive. I only ever wanted more."